Still inferior to the original Oxford version on my iPhone 4, which I still use for the dictionary. The current software company dropped the word forms that were available in the dictionary itself. Very disappointing. Makes my work harder. The previous versions would detect the alphabet being used and automatically switch to the right language. Not this one. The “Help” section is worse than pathetic. The screen design now looks cartoonish and is more difficult to read, and it is poorly organized. 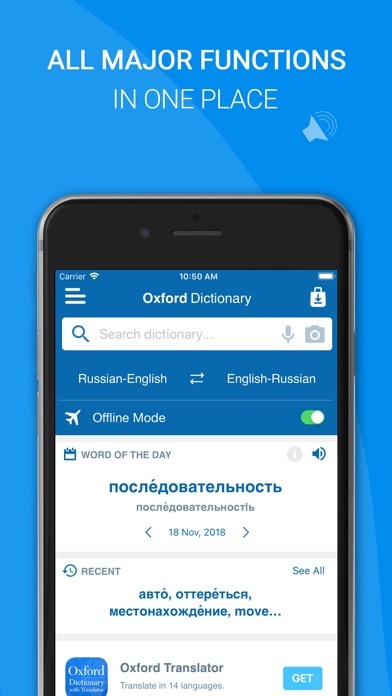 I’ve paid for the same Oxford Russian–English dictionary THREE TIMES as Oxford switched software companies, and the product has gotten worse each time. Oxford, if you’re listening, refund my money or bring back the original. Addendum, Jan. 2019: A new message from the authors appeared this morning, and it was disappointing and ungrammatical. They said they updated the data base so maybe recents and favorites won’t work so I should delete them and re-add them. This app just keeps getting worse. Oxford, get a better developer. 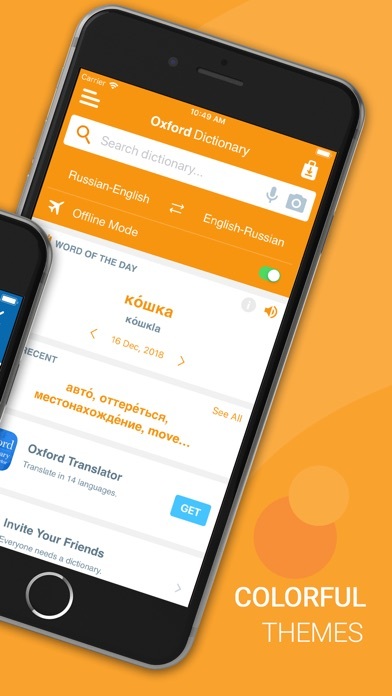 I’ve used the Oxford Dictionary for over 25 years for Russian language support. I don’t think there is a better reference book. Pretty slow and doesn’t help with spelling. The dictionary doesn’t give spelling suggestions so for beginning learners it’s not as useful as it could be. Overall a good resource, but if you accidentally delete the app and a newer version is available, you have to buy the new version and lose the money you spent on your first purchase. So far I have had to purchase this app twice due to newer versions becoming available and am glad there is a free version now. One Star for Oxford greed! 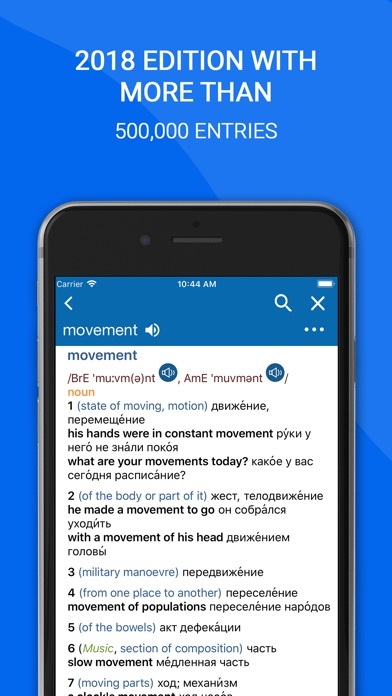 This dictionary is really great and is indispensable for both Russian and English learners. 5 stars easily! Premium works on only one device! 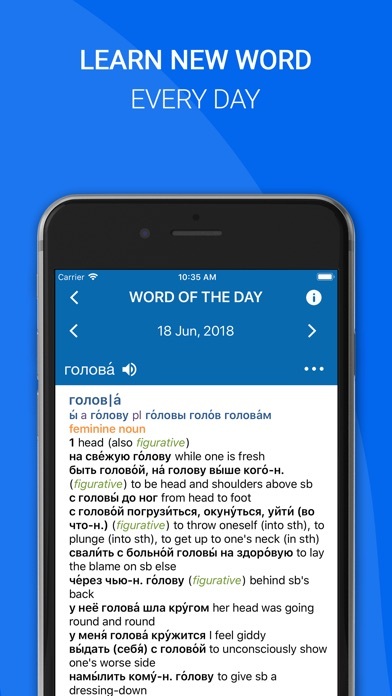 This app, compared to dictionaries by Zanichelli and Duden is more of a toy than a serious dictionary. The worst thing is that, despite their advertised claims, the Expensive premium upgrade works only on the one device it was purchased on! Still hasn’t fixed these easy fixes! Every time I start the app it shows an unnecessary splash screen for three seconds, then I need to click a few times in order to begin searching for words. The first click is to bring the focus to the search box. The second click is to click on the x to remove the current text from the search box. This app could be much easier for users, by enabling the app to open and put the focus on an empty search box, ready for text! 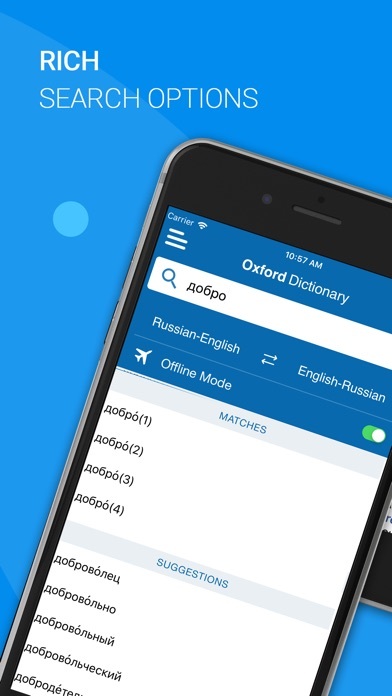 Additionally, it would help if the user didn't have to select English or Russian, perhaps the app could determine which dictionary to search in based on the characters used in the search query! Also the word of the day thing is a joke for me. It gives me an ENGLISH word of the day rather than a Russian word of the day. Talk about anglocentric! 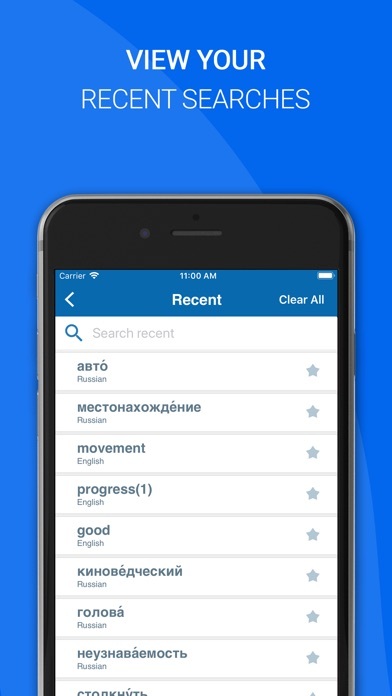 Best english published Russian English dictionary.